Vermont doesn't have any laws that tell you that you can't play poker, online or in your home. That's great, right? That should mean it's ok.
Vermont has a couple of laws that more or less act as a blanket and covers all forms of gambling in their state. Technically, it could make online poker and social games illegal. When you combine that with no brick and mortar casinos, poker players are left with nothing but charitable gaming and/or taking the risk of breaking the law. I recommend reading on to learn more about what you can and cannot do to keep yourself from getting in (too much) trouble. The fines are small, though, at $10-$200, especially when combined with the likelihood that someone is going to come beating down your door for playing poker online. (Not very). But it appears to be illegal nonetheless. Furthermore, Vermont has a law that mentions gambling instruments. This could apply to anything related to online gambling, including the software, your computer, tablet or phone, your tracking software or online apps. Home poker games are the same way. There's no law that mentions home or "social" games. So you'd have to assume that the Winning or losing by gambling clause would apply here. In addition to that statute, a home poker game could also fall under the -At gaming house or the Setting up, promoting or aiding statute. Based on our research it's been several years since there has been any gambling related arrests. So you could probably get away with a home game. Just know that you run the risk of fines and imprisonment if you do. Do Casinos in Vermont Offer Poker? You will not find a commercial or tribal casino in Vermont. We receive a lot of questions about the legality of online poker and gambling in Vermont. Here are the most common questions and our answers. It doesn't appear that any effort has been put towards regulating online poker. However, between February and March of 2012, a bill was passed that required the state to research the issue of online lottery sales. They were supposed to report their findings by January 2013. It looks like they did. We've come across this report that covers lotteries in other states, the Wire Act and revenue. I've found nothing that states whether or not Vermont has moved forward based on these findings. However, should they legalize online lotteries this could very well pave the way for other forms of online gambling. Is there an online poker room that accepts players from Vermont? Despite it being illegal to play online poker in Vermont, it's still possible. 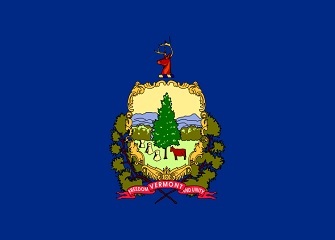 Unlike other states, like New York or Washington, that are excluded from even signing up to most poker sites, residents of Vermont will still be able to sign up and play at sites like Sportsbetting Poker, Bovada and America's Card Room. What other forms of regulated gambling is offered in Vermont? The only form of gambling currently available in Vermont is a state lottery. At one point there used to be horse and dog racing, but that's not the case anymore. Charitable gaming is ok, too, per the rules. Games can include bingo, raffles and poker. Charitable games can only be held twice per week by any one organization. Where can I read more about Vermont poker laws? Here are some interesting facts about gambling, poker and the state of Vermont. You can attempt to recover your gambling losses, so long as you try within one month of your loss. There is a law that suggests that so long as you break even on your gambling you're safe. But if you win or lose, you've broken the law. Convicted felons cannot organize or execute a gambling event.